It’s easy to see why the Polish city of Wrocław (pronounced vrots-wahf) was named the 2016 European Capital of Culture. Everything about it is charming; from the magnificent market square, to its bustling cafes and bars, to the lamplighter on Cathedral Island who works 365 days a year. 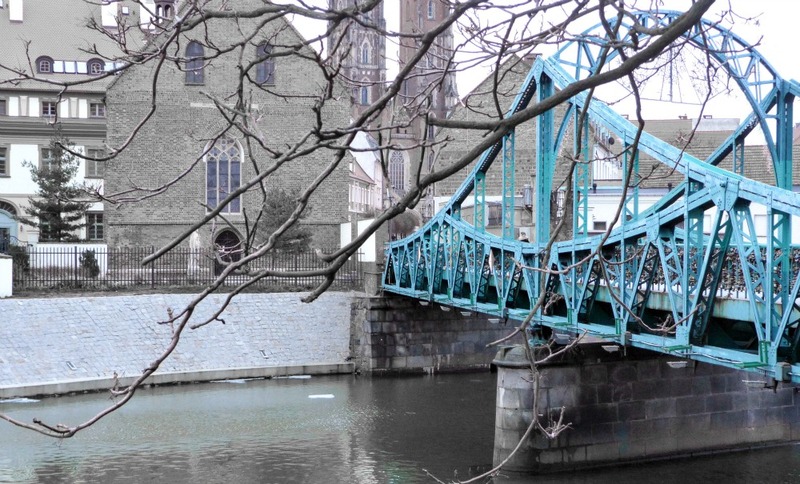 For those of you who have been to Kraków, think of Wrocław as it’s less touristy sibling. 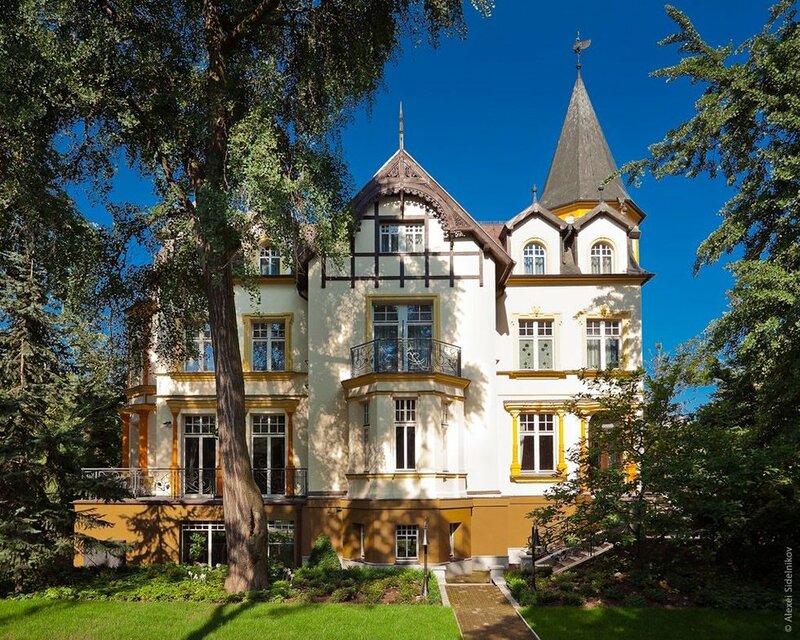 The two share many similarities, most notably in their architectural makeup, each boasting an abundance of pastel-coloured, postcard-perfect buildings. Before the hoards of crowds descend on Wrocław, and trust us they will, take a look at our guide to the Polish city and start planning your next European adventure. From crazy cheap hostels and Airbnb’s to relatively expensive hotels, here’s our top picks of places to stay in Wroclaw. For cheap and cheerful check out Hostel Kombinat or Hostel Wratislavia. Both have great reviews and dorms are available from £6 per night. Find a place to stay with a central location from as little as £17 a night on Airbnb. One of the best options if you plan on staying for a few days and prefer to have your own place after a long day (and night!) of exploring. I stayed in Vision Luxury apartment and can highly recommend it. If you have a little more money to spend, try Wroclaw’s 4 star boutique hotel called Art Hotel, or the Grape Hotel, for a 5 star experience. Whether you are a culture vulture, or a big foodie, there’s lots to see and do. Built upon 12 islands, Wroclaw is surrounded by rivers and canals, hence why many people refer to the Polish city as the Venice of the North. 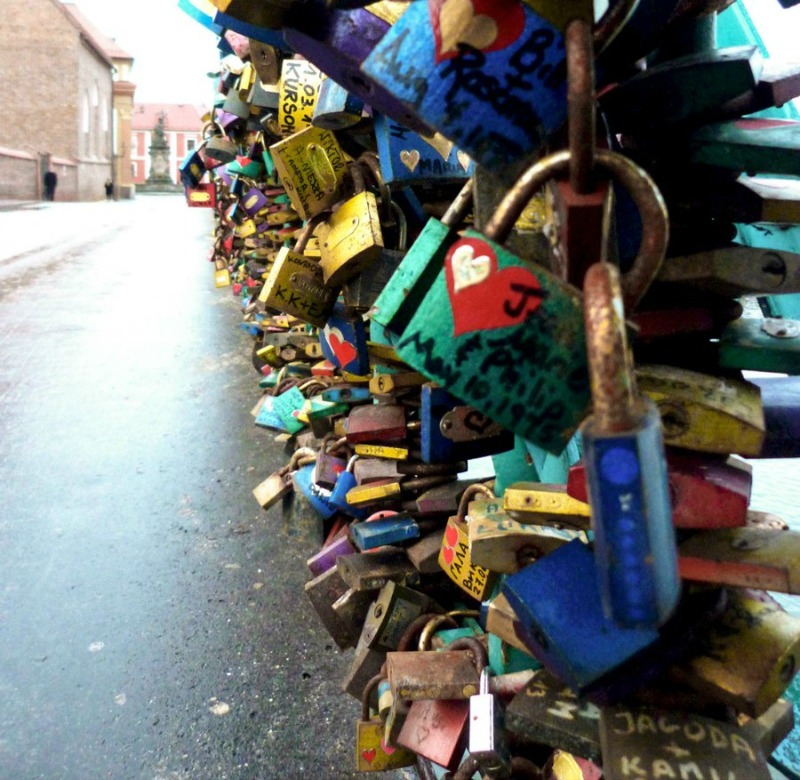 It is famous for its beautifully intricate bridges, including the Tumski Bridge where you can get locked in love. One of the world’s most charming and romantic occupations, if you visit Wroclaw, you muse see the Ostrów Tumski Lamplighter. 365 days a year this gentleman can be seen at dusk in his unique cape and top hat lighting the 103 gas lamps in the district. A unique market hall filled to the brim with different stalls. Downstairs you’ll find earnest locals hawling top quality fruit and vegetables, as well as a wide selection of local cheese, ham and salami. Whilst upstairs there is a bewildering array of bric-a-brac. If you’re after nylon underwear, this is the place. This strange tourist attraction started in 2001. Since then the numbers have been continually growing and as of 2014 there were 300 dwarfs spread across the city. Keep your eyes peeled for them. 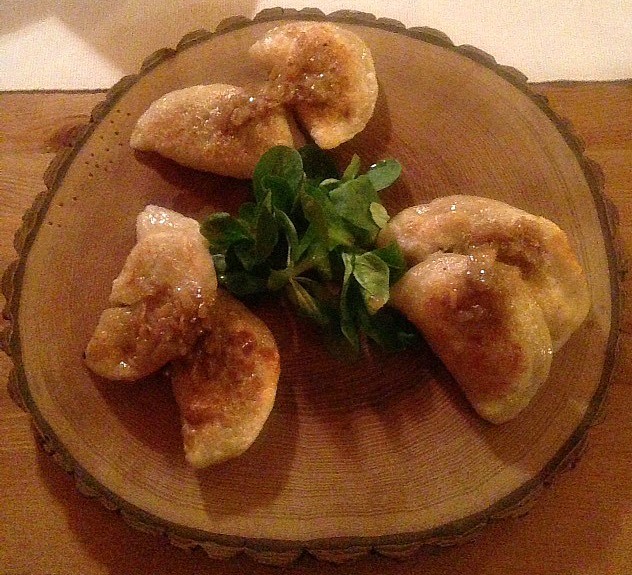 You can’t visit Poland and not try Pierogi (dumplings). Lwia Brama is one of the only restaurants on Ostrów Tumski and if you are lucky enough to reserve a spot sat outside on a warm summer’s evening, you’ll be able to watch The Lamplighter at work. The first restaurant in Poland to go all vegetarian when it opened back in 1987. Now Vega has taken it one step further and is 100% vegan. The food is delicious and it’s probably one of the cheapest places to dine on the market square. 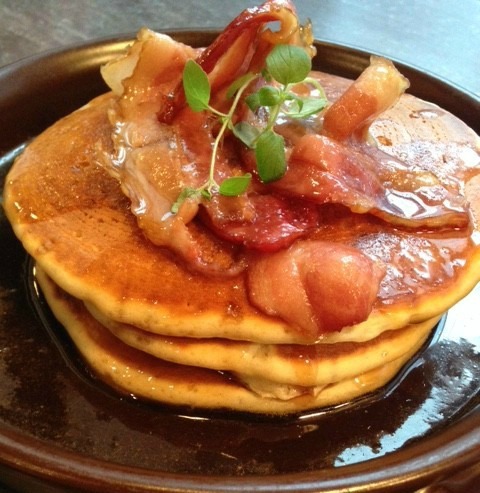 An American-style bakery fantastic for breakfast or a light lunch. 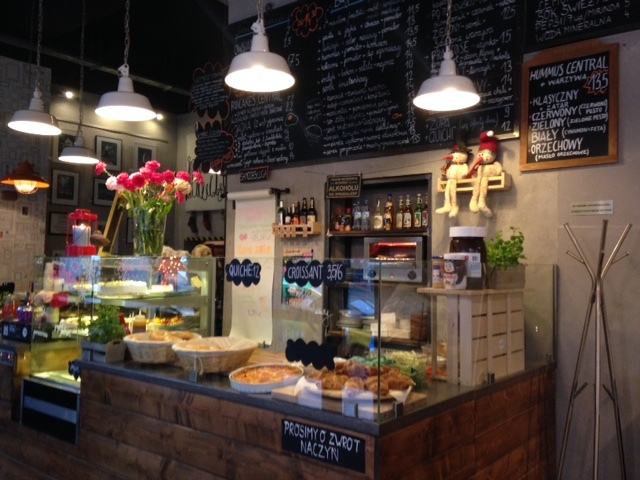 The menu is entirely in Polish, but it’s pretty self-explanatory so don’t let that put you off! Are you a fan of hot chocolate? If so, this place is a must. Choose to have the thick and tasty hot chocolate exactly how you want it: with coffee, fruit or with spice. If you’re feeling extra adventurous go for the chilli chocolate. Situated in the cellar below Hala Targowa, come here for a great atmosphere and good food. The selection of 12 craft beers on the blackboard over the counter was great, all of which cost no more than £2.50 for a decent pint. A hipster hotspot not to be missed. 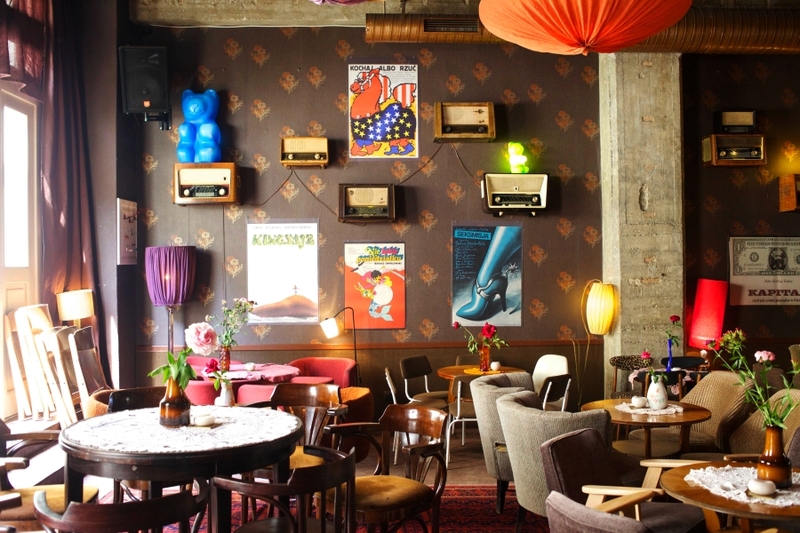 Come here for £3 cocktails, quirky antique furnishings and an eclectic alternative playlist. The glowing gummy bear lamps are pretty cool, too.